A collection of moody pieces from Lord Humungus. 01 Tired Of Waiting For You – A cover of The Kinks’ classic tune. 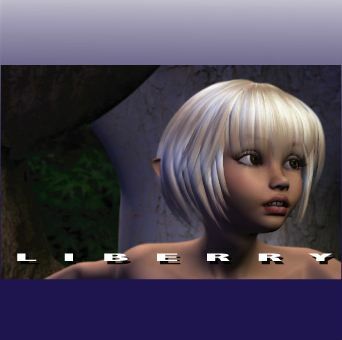 Originally slated for a compilation that vanished into thin pixels, this track found its home as the opener for the Liberry EP. The song uses a variety of samples as source sounds, including coin tosses, match strikes and door slams. 02 Crazy Glue – This song was written post-S.I.g. and post-Tovarisch, when Lord Humungus rode the desert wastes, looking for a village or refinery to pillage. The original version was recorded in 1990 (you can tell by its haircut). This version gets a hip-hopsicle makeover. 03 Dulzura – A little shoegazery pie for someone special. 04 City – More dollops of shoegazery, but with a baked science fiction crust. 05 Buffalo – A glitchy sort of dirge, featuring microphone scrapes for percussion and the trusty Casio SK-5 on melody. One of Logic Audio’s synthy wynthys provides the bassline. 06 Stolen – Inspired by the superb graphic novel, Adios, Palomita by Olivier Vatine, Alain Clement y Fabrice Lamy. The base tracks for this song were created a long time ago, for a completely different song. They hung around in the basement collecting dust and muttering to themselves until another song accidentally fell downstairs and landed right on top of them. Oh my stars and garters, what a mess! Well, after a few startled how-do-you-do’s, the two songs found they had something in common and have been great friends ever since.